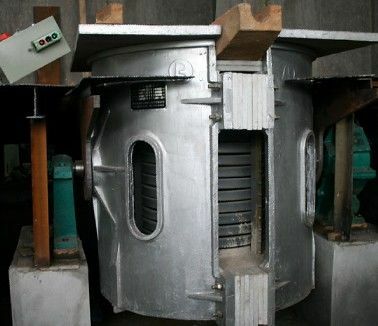 Intermediate frequency furnace is widely used in smelting non-ferrous metals and ferrous metals. Compared with other casting equipment’s, intermediate frequency furnace has many advantages such as high thermal efficiency, short melting time, less burning loss of alloy elements, wide melting material, little pollution to the environment and so on. It also can control the temperature and composition of the liquid metal accurately. •The smelting speed is very fast, it has good power-saving effect, low energy consumption and less burning lost. •Self-mixing, the melting temperature and metal composition are uniform. •Electric heating operation environment is very good. •Good starting performance, empty furnace and full furnace can reach 100% starting.